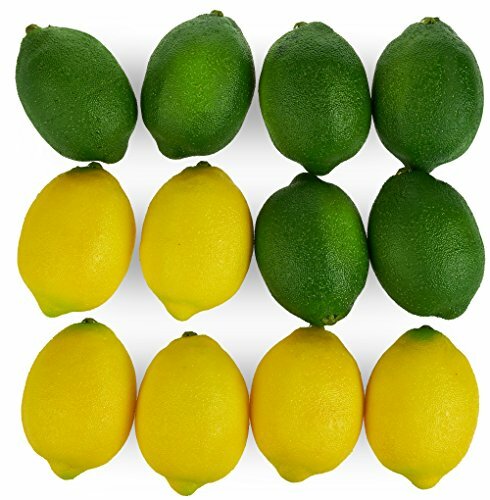 This wonderfully citrus-y Set of Green and Yellow 12 Artificial Lemons and Limes will add some serious zesty flavor to any coffee table, restaurant setup, office desk or any other locations you can think of! EYE-CATCHING: Super realistic detail ensures these lemons won't look out of place on a film set or as a artistic prop. WELL-MADE: Constructed from high quality foam on the inside and a plastic coating on the outside for durable use.